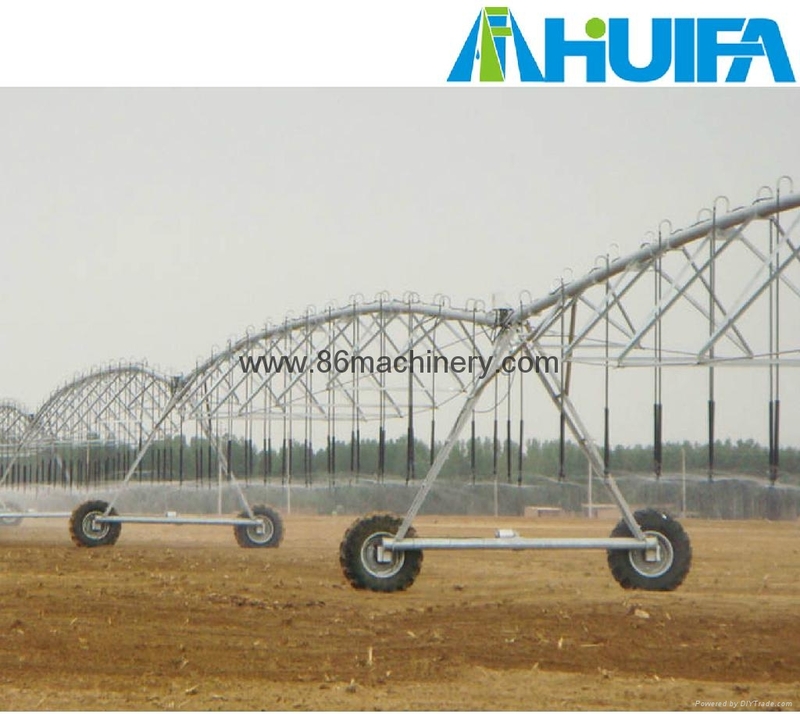 Center pivot irrigation system is mainly used for sprinkling a variety of field crops, industrial crops and pasture. The automated irrigation system characterizes high efficiency, reducing water and energy consumption, increasing yield and saving labor. Its electrical alignment control system is safe and reliable, the over-watering protection and automatic display unit save water and troubles. The systems are equipped with impact sprinkler with uniformity coefficient more than 85%, and can be used for the uniform application of chemicals and fertilizers. The systems can be operated on fields with slopes of up 25%. The important structural components of the systems are all hot-dipped galvanized for 30 year's anticorrosion warranty.